Curious about this season's hottest design trends? Well, with so many talented professional interior designers working with us we know what's trending in home decor each and every season. We get a first-hand glimpse at what clients want and need for that perfect, pulled-together room. Our clients provide us with inspirational photos and Pinterest boards that reflect those big trends (hello, farmhouse!) currently out there. And of course, it’s so fun to see how our designers re-imagine those trends, to give their clients not only what they asked for but also something fresh and personal in their space. Check out today's blog to see 5 of the biggest trends we're seeing this summer. There's no denying that this farmhouse trend is big (hello Chip and Joanna Gaines) and our designers are frequently asked to transform rooms in the now-famous modern farmhouse style. 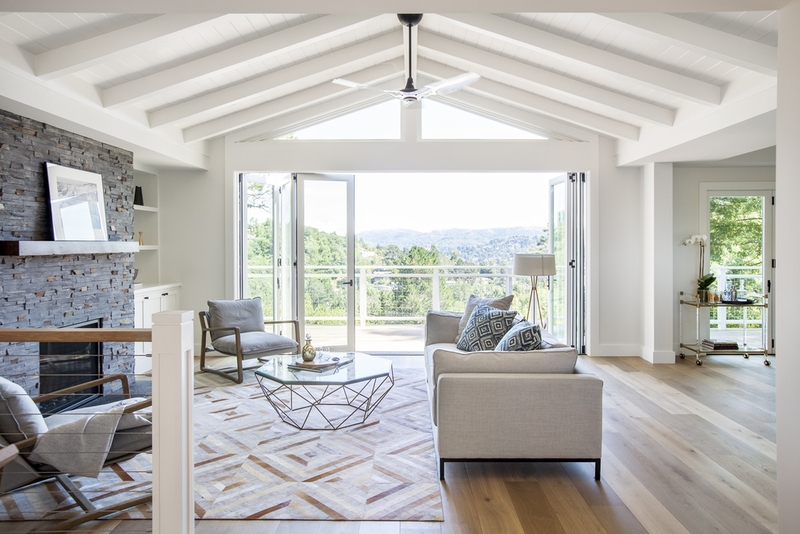 Whether you live in Northern California, the plains of the Midwest, or on the Eastern seaboard we're seeing more demand for this rustic yet modern aesthetic. By using white walls, clean lines and a neutral palette and touches of glam - think gold, lucite, metallic, and subtle pops of color—it’s a fresh way to take on the farmhouse look. Decorist designers are so good at that laid-back boho look and are always re-interpreting it into new and fresh designs. And when you think of bohemian style, you usually think of lots of color, patterns and prints all mixed into one. 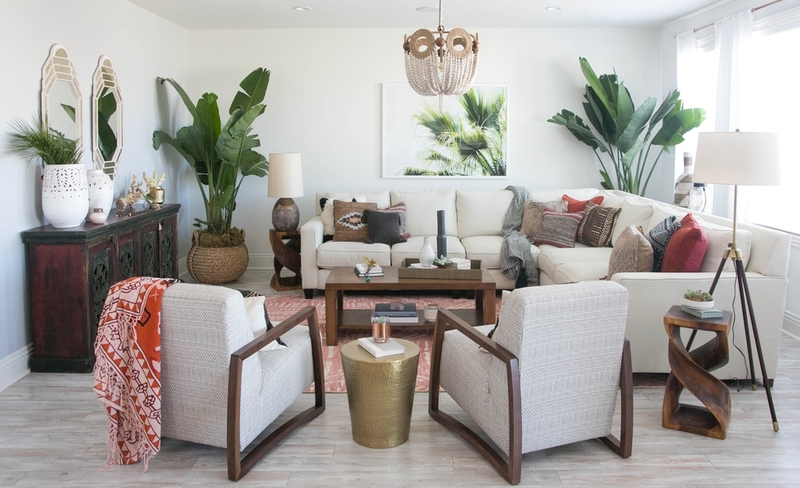 However, a recent way to do boho is to start with a more neutral palette (like a white sofa) and then layer in boho accents in earthy muted tones. Of course, any good bohemian designs still incorporates lots of plants and textures giving the design a fresh, organic vibe. While it's true that designers have been mixing different design styles for a while now, we are seeing more traditional rooms have a distinctly eclectic modern twist, whether it's in the form of a streamlined minimalist lighting or an abstract piece of art. The result is an eclectic variation on a classic look, and when done well, a fresh new take on traditional style. Our clients love vintage. It gives a room a bit of personality making it feel less like a retail showroom or store catalogue. We’re seeing more customers who want a curated look by mixing in that Art Deco look with geometric patterns, retro upholstered furniture, gold and metallic accents within a lighter and brighter context of a white room. The result is a sophisticated look that doesn't feel heavy or overly formal. Everything right now is about textures and materials and to work within those more organice elements it is good to start with a neurtal color palette based around whites, cream, beige and gray tones. We're seeing more organic elements like rattan, wool, wood, feathers (hello juju hat!) and brass accents in room designs. By having a variety of textures a room will look sophisticated but still casual enough for everyday living. Feeling inspired? Do you want to incorporate some of these home decor trends into your own home design? 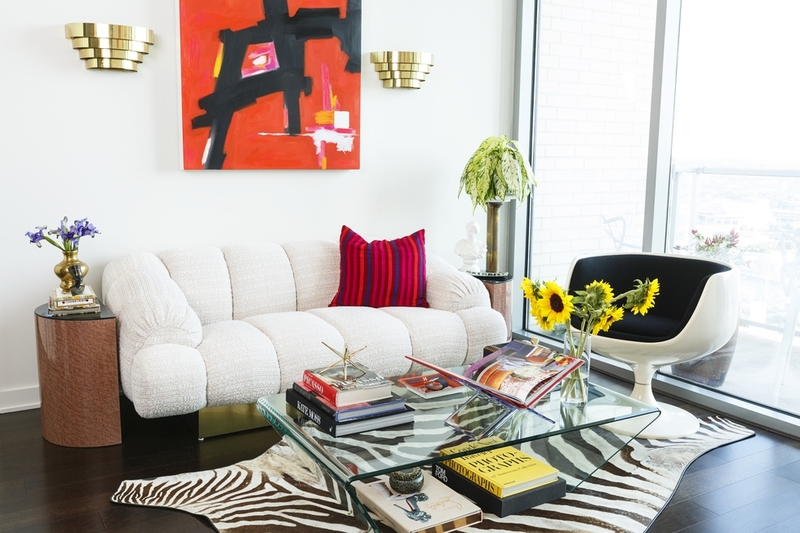 If so, you should start a Decorist design project today. For a low flat fee, you can have that pull togther home that you have always wanted! Happy Decorating!